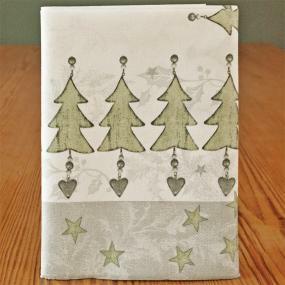 Central Christmas paper tablecloth with a silver and green design on a white background. 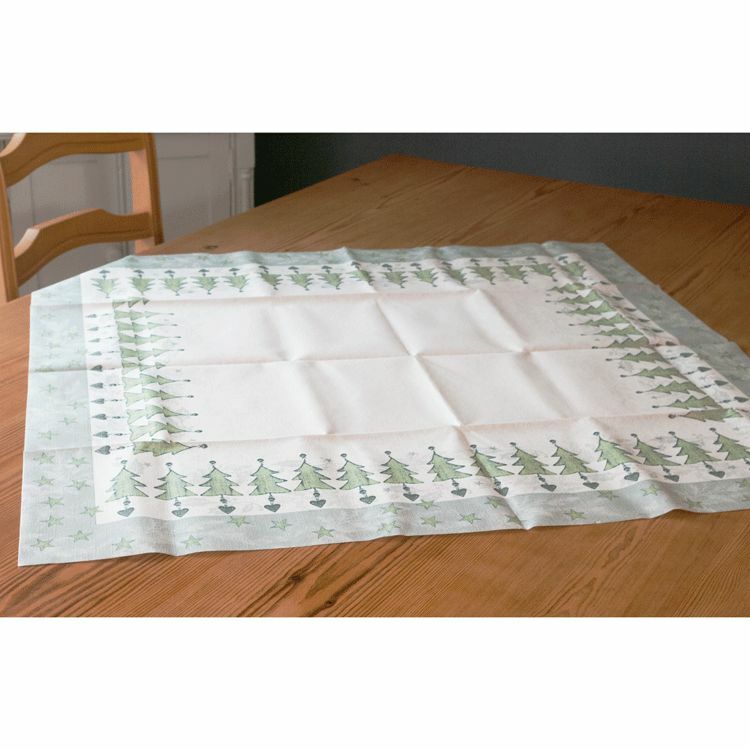 This airlaid tablecloth from Paper and Design is ideal as a table centre on a larger table or for covering smaller tables. 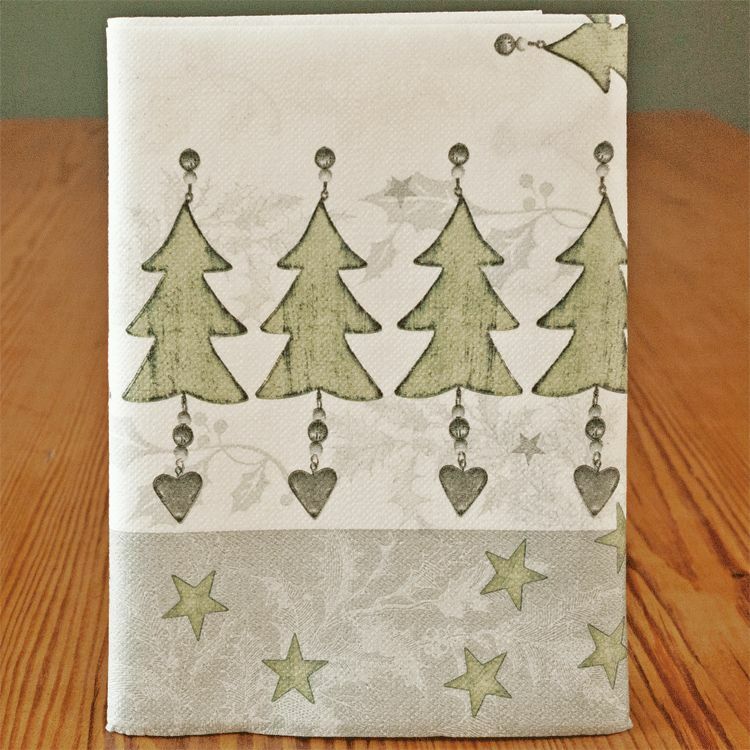 Measures 80 x 80 cm.